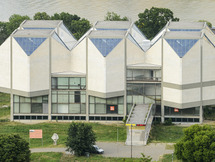 The Museum of Contemporary Art in Belgrade was founded in 1958 and its situated in New Belgrade, on the left bank of the river Sava. 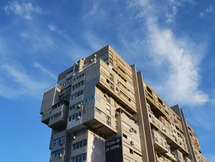 The edifice was erected between 1961 and 1965 after the design of Ivan Antić and Ivanka Raspopović, awarded the October Prize of the city of Belgrade in 1965. This..
One of the first case of Slovenian regionalism. 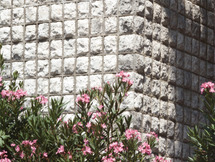 The volume of the structure follow the natural landscape. The regionalism quality is in a contemporary redefinition of traditional architectural elements (roof) and materials (wood). We can expose the wood element of the motif of floating roof,..
Ivanka Raspopović (Belgrade, 1930-2015) was a Serbian Modernist architect. She started her career in the construction company Rad from 1945 to 1955. 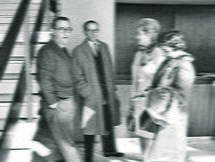 Later she moved to Srbijaprojekt, where she stayed until 1960. 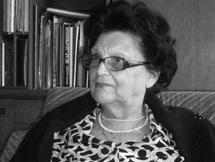 From 1961 to 1964 she worked in the company Zlatibor, and then again in Srbijaprojekt.. 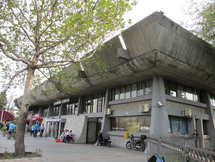 The bus terminal in Podgorica was built in 1968, according to the project of Svetlana Kana Radević. She created an architecture that contributed significantly to the identity of Podgorica. 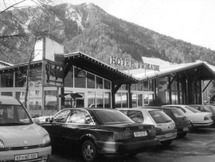 The Bus terminal is located near the city center. After more than 40 years of work, spatially and.. This monument commemorates the Battle of Dražgoše, where Partisans fought a snowy winter against Germans, while also protecting local peasants from deportation. 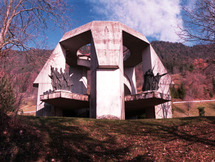 It was built in 1976, after prolonged plans by TIto to create a memorial to honor the soldiers who fought here and the villagers who.. Recent series are focusing on architecture in three coastal cities in Croatia: Rijeka (European Capital of Culture 2020), Split and Ubli. 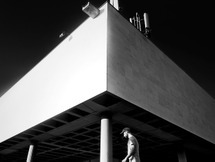 All three segments - Photo-construction of Architecture: Rijeka, Late Modernism in Split and Terra nUBLLIus - are deprived of any dynamics and people, using.. 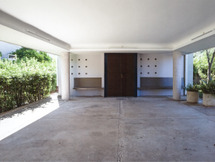 The volumetric simplicity and symmetry of the series of villas that Dobrović built in Dubrovnik in the decade of the nineteen-thirties, relates then at the same time to the rules of International Style, and to the local tradition of country mansions built by the Dubrovnik elite. The simultaneous.. 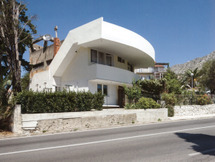 The cross section of Villa Adonis resembles a physical manifesto of Functionalism that has been adapted to the Mediterranean climate and to the sloping terrain. Its introverted volume rises above an open porch on four reinforced concrete columns, while its back leans against..
Mimoza Nestorova-Tomić is a Macedonian architect, planner, and urban designer, who played a significant role in the masterplan and reconstruction of Skopje after the 1963 earthquake. 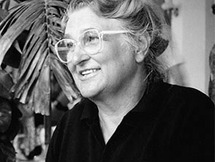 Initially she worked specifically in the team for social planning with Polservice, the Polish consultants,..
Nives Kalin Vehovar (Ljubljana, 1932-2007) was a Slovenian architect and designer. 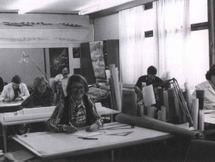 She graduated at the Faculty of architecture in Ljubljana in 1958. 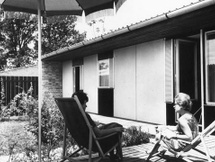 She was employed as an architect in several Slovenian engineering offices and collaborated mostly with her husband Franc Vehovar. 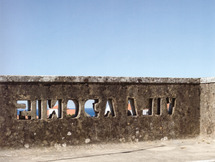 They worked on..
One of the gestures of international solidarity, initiated by the disaster of 1963 was the creation of the outstanding international collection of modern art trough donations. This action was initiated by artist, historians of arts, international associations, museums and galleries from all over..
On women in architecture in Serbia, we certainly cannot talk without mentioning Ljiljana Bakić, an author who, individually and in cooperation with her husband Dragoljub Bakić, designed and built a large number of buildings in Belgrade and other cities in Serbia, as well as abroad. 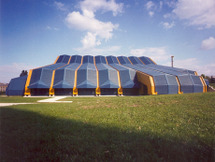 Today, the..
Pionir Sports Hall is the largest sports hall in Belgrade after the Belgrade Arena. It was open 24 May 1973 near the sports complex "Pioneer" which is part of SRC "Tašmajdan". It was renamed to Aleksandar Nikolić Hall on February 2016 in honor of the legendary basketball player and coach.. 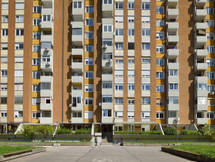 In the 1960, the widespread construction of cooperative flats in Slovenia triggered the development of compact individual urban complexes in the hope that they would become a viable alternative to the high-rise apartment buildings that prevailed at that time. A campaign "apartments made to our..
BS 7 (also called as Ruski car) is a block settlement in the northern part of Ljubljana, built in the early 1970's, on the agricultural land of nearby villages Ježica and Stožice. The neighborhood consists of three main streets Bratovševa ploščad, Glinškova ploščad and Muchar street. It is..